Get great discount on Nikon Coolpix L610 Point & Shoot Camera | Online India shopping best deals, discount,coupons,Free offers. Point and Shoot camera systems are ideally designed for people who are yet to master the art of photography. 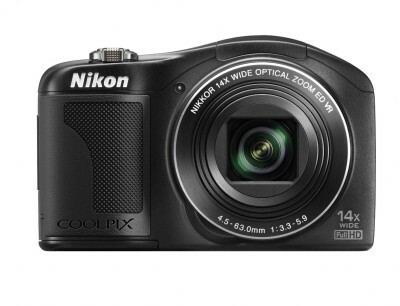 The Nikon Coolpix L610 point and shoot camera is well designed to be a backup camera as well as a beginner’s learning tool. Sensor Technology This Nikon camera is equipped with a powerful 16 MP CMOS sensor that can take amazingly clear pictures for a point and shoot camera. This sensor is also well suited for low light photography as well. The sensor is also designed in such a way that the camera performs at optimum levels across a wide spectrum of lighting conditions. This is highly useful for situations where lighting conditions vary across areas and environments that subjects are focused on. Zooming Capability This versatile point and shoot device is well suited for high quality photography even when the subject to be focused on is somewhat far off. With a zoom capability of 14 X in the optical range, it is quite possible to get in on the action without actually having to move close to the subject physically. Display Prowess for High Detail Capture This camera is also equipped with a powerful LCD display of 3 inches that supports a 460 K dot display for unmatched clarity and detail levels. Full HD Video Recording This camera is also capable of Full HD video recording capabilities. This means that you can record at a resolution of 1080 p which will result in high quality captures for all your precious memories..The product Nikon Coolpix L610 Point & Shoot Camera is from the famous brand Nikon. The product is currently available with the amazing discount from FlipKart.Currently a discount of 5.0% available for this product. Great discount for this product which has the original price of Rs.10950.0 and you get these amazing products for a discounted price of Rs.10400.0. Hurry up. Stock may be limited.